Press the toe mounds towards the ceiling the bring the pinky sides of the feet towards the ground.Extend from the inner groin to the inner heel and roll the thighs together. 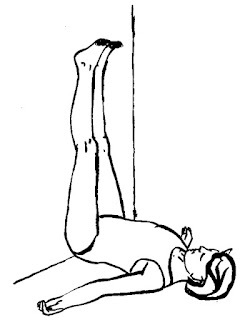 Press the top center thighs back towards the wall and lift the knee caps towards the thighs. Relax the abdomen and roll the shoulders under opening the chest. Yoga is so therapeutic that there is hardly a time to not do yoga. But there is clearly a line, if you have a fever stay off your mat, hydrate and rest. I am reflecting on this as my little ones have been sick these past few weeks. For just about every other condition do yoga. Some conditions require the assistance and guidance of a more qualified teacher that you will need to seek out, such as cancer patients, pregnancy, rehabilitating an injury, or coming back from a surgery. 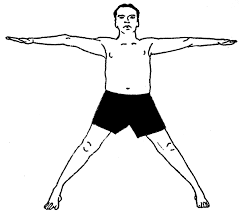 Take time to look up the most qualified Iyengar Yoga Teacher in your area for these concerns.